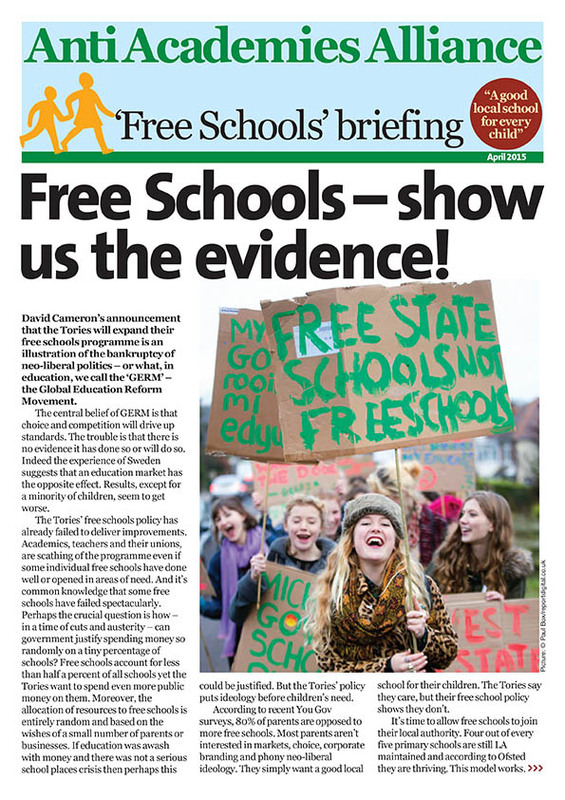 Free Schools – Show us the evidence! 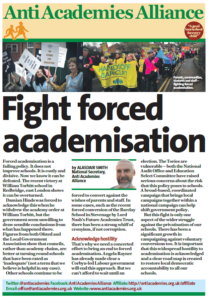 David Cameron’s announcement that the Tories will expand their free schools programme is an illustration of the bankruptcy of neo-liberal politics – or what, in education, we call the ‘GERM’ – the Global Education Reform Movement. The central belief of GERM is that choice and competition will drive up standards. The trouble is that there is no evidence it has done so or will do so. 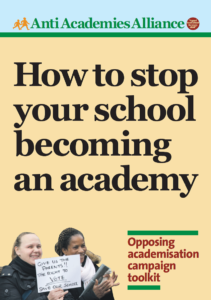 Indeed the experience of Sweden suggests that an education market has the opposite effect. 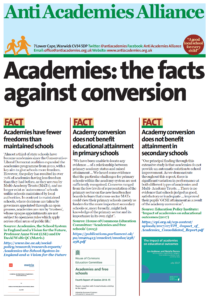 Results, except for a minority of children, seem to get worse. 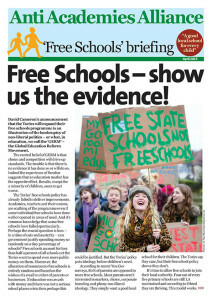 This entry was posted in News, Research, Resources, Top story and tagged Free Schools. Bookmark the permalink.